Show me how to HELP! • Water shoes/something that fits snug around your feet. Flip-flops NOT recommended. 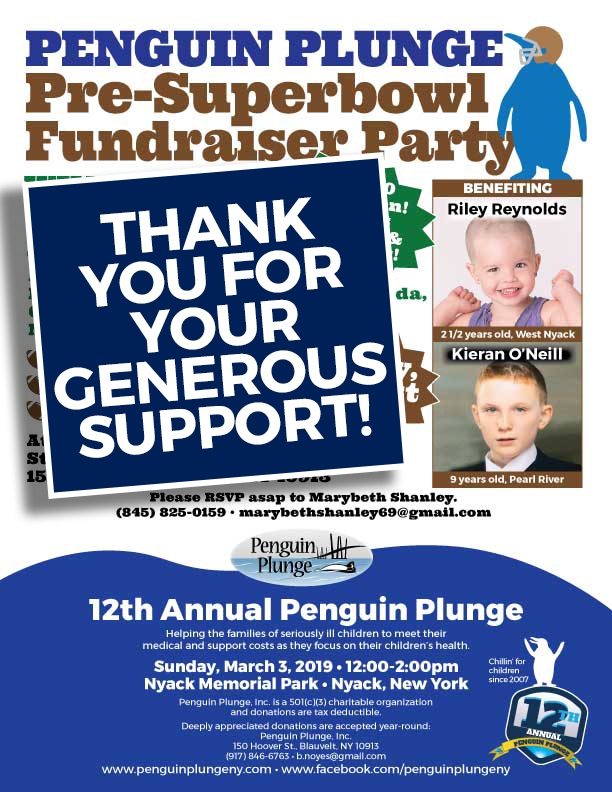 Penguin Plunge, Inc. is a not-for-profit registered 501(c)(3) that helps the families of serious ill children in meeting their medical and support costs as they focus on their children's health. 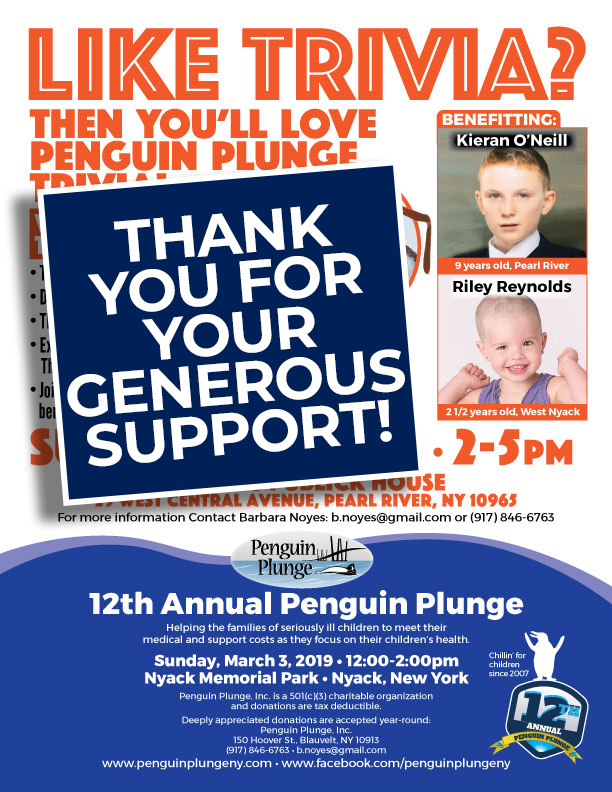 The Penguin Plunge gives people the opportunity to take a memorable dip into the icy waters of the Hudson River while raising money for a good cause. 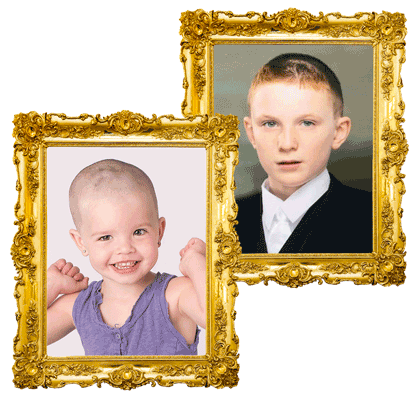 Since 2008 we have raised over $380,000 for some incredible young people. Meet them here. 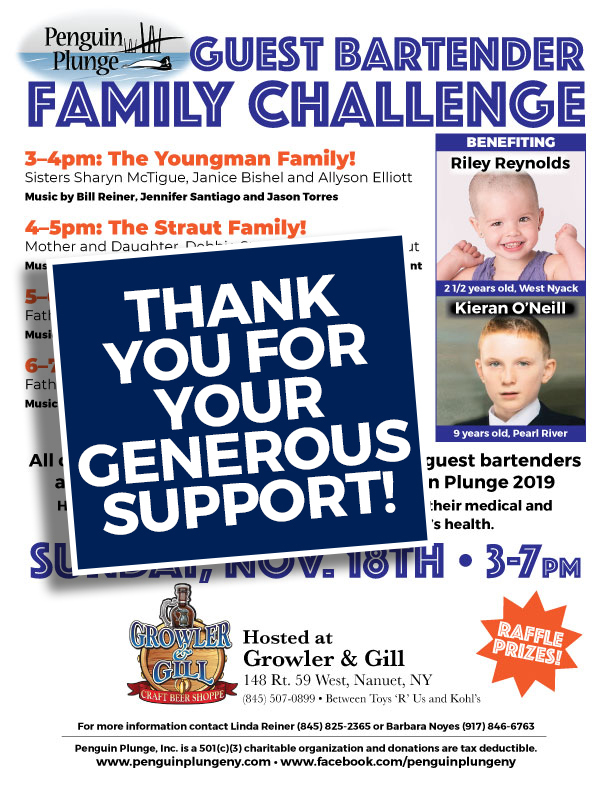 This year, we are celebrating our 12th Annual Plunge and braving the cold for some more local families whose children are struggling with serious medical conditions. 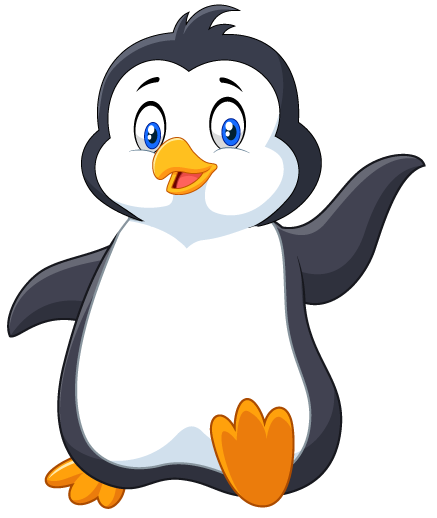 What is the Penguin Plunge? It's cold and snowy and no two ways about it! If you can't beat it, you might as well embrace the winter in the best way possible! 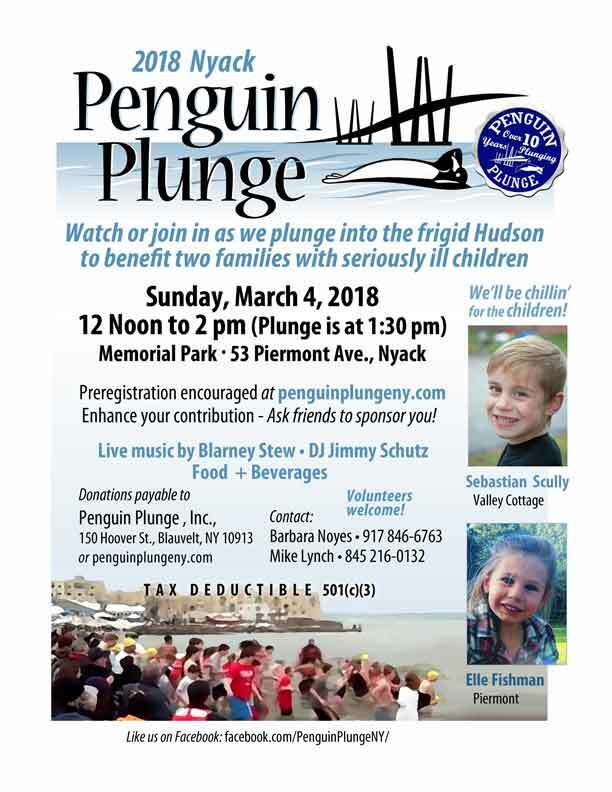 Take a plunge into the frosty waters of the historic Hudson not only for yourself, but for three great kids who have serious illnesses! 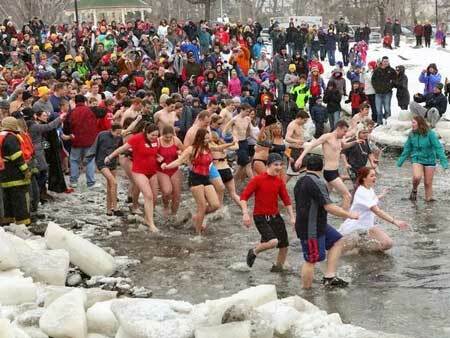 Take me to photos of The Plunge!REGISTER FOR THE PLUNGE! Over the past 11 years the Penguin Plunge has raised over $350,000 to help over a dozen families offset the astronomical medical expenses associated with caring for their children with serious illnesses. These are your neighbors... your friends... your community. 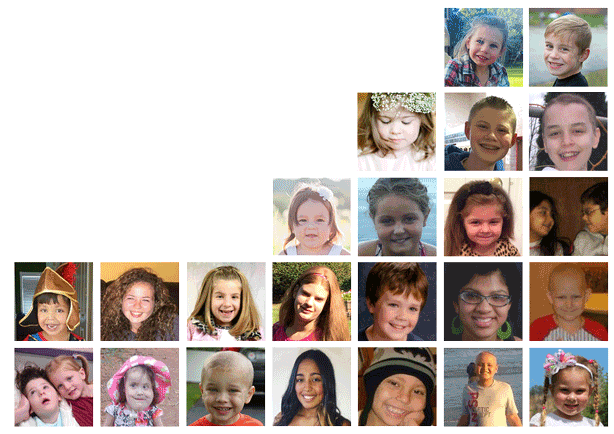 From toddlers to teenagers, boys and girls, these brave youngsters fight a daily battle to live a normal life in spite of the conditions they each face. 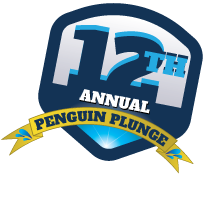 The Penguin Plunge counts on members of the community like you to contribute in some way to help them in their fight. You can make a difference in their lives. 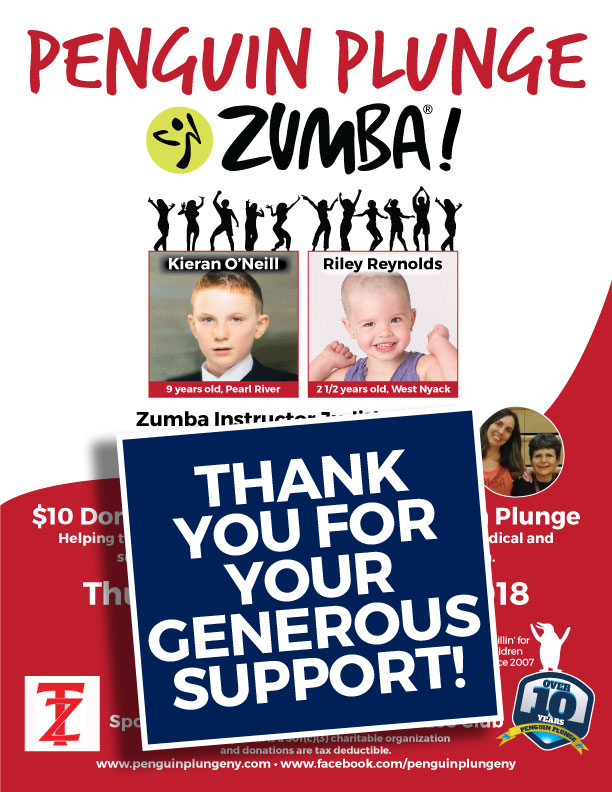 Along the way leading up to the Plunge we host events to raise donations as well as awareness to the needs of this year's kids.